As the semester comes to a close, so do the spring sports seasons. Mason baseball has been up and down this season. The team started off with eight consecutive losses before rattling off four wins in a row. On April 18, the Patriots snapped a five game losing streak by beating James Madison 7-1. Mason got 11 of their 15 wins at home and were led this season by pitcher Zach Mort. Mort has twice been named Atlantic 10 Conference Pitcher of the Week and is tied for first in the conference for most strikeouts this season. 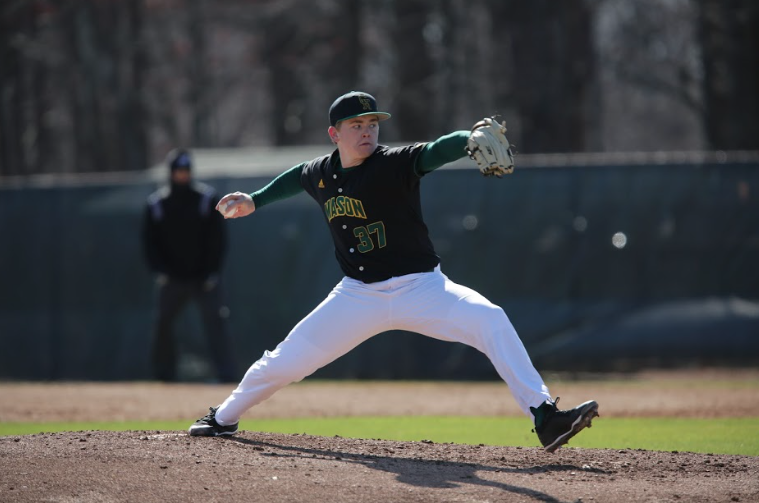 Mason’s regular season does not conclude until May 19 when the Patriots face off against La Salle, and the A-10 Baseball Championship runs May 23-26. Mason’s men’s golf team had a successful season. One of their best finishes was in the 2018 Mission Inn Spring Spectacular in Howie-In-The-Hills, Fla. One of the best individual performances this season was Ellis Messian’s 13th place finish in the USF Invitational. After finishing 15th in their last regular season tournament, Mason will play in the A-10 Championship in Orlando, Fla. on April 27-29. Men’s tennis has struggled this season, especially in conference play. After winning their first two matches of the season, the Patriots lost their next seven. One of the team’s best performances was on April 11 when they swept Hampton 7-0. They finished their regular season with a win against Saint Joseph’s and then will move on to the A-10 Championship April 26-29 in Orlando. Both Mason men’s and women’s track and field teams continued their success as they transitioned into the outdoor season after both came in second in the the A-10 Indoor Championships. The men’s team came in first at the Mason Spring Invitational and had two of the top five runners in the men’s 3000-meter steeplechase, while the women came in fourth and had multiple athletes qualify for the Eastern College Athletic Conference Championships. Throughout the season, Patriots have been given weekly conference honors, including most recently Blaine Lacey and John Seals, who were named A-10 Men’s Track Performer of the Week and Men’s Field Performer of the Week, as well as the Women’s Co-Rookie of the Week. Mason finishes up their regular season April 26-28 at the Penn Relays, and will then host the A-10 Outdoor Championships on May 5-6. 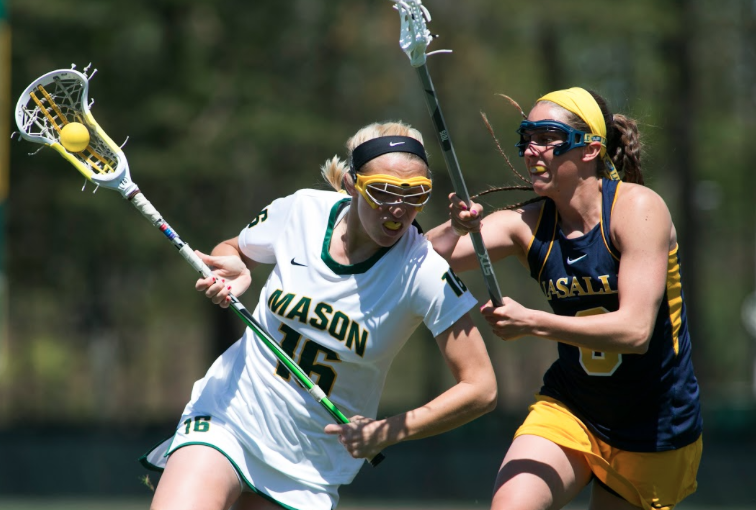 Mason’s women’s lacrosse team has played well this season with a 9-5 record so far, and one regular season game left against Virginia Commonwealth University. Two players have caught the attention of the A-10 Conference this season, including two-time A-10 Co-Defensive Player of the Week Melissa Semkiw, and three-time A-10 Co-Rookie of the Week Donaghue. After they finish out the regular season on Saturday, Mason will head down to Richmond for the A-10 Women’s Lacrosse Championship May 3-6. After wrapping up their regular season on April 22 at home, the women’s rowing team will compete in the A-10 Championship in Camden, New Jersey on May 5 and the Dad Vail Championships in Philadelphia, Pennsylvania May 11-12. Mason’s softball team has struggled at times this season, though four conference wins in the last week have helped the Patriots climb to 9-8 after sweeping La Salle last weekend. The Patriots finish their regular season schedule at the University of Massachusetts on May 6, and may play in the A-10 Championship May 9-11 depending on their final seeding. Mason’s women’s tennis team has struggled at times this season, winning two or three matches at a time but also taking multiple consecutive losses. One win that stands out was a hard fought battle against Rhode Island on April 8. Both teams were short handed, but Mason was able to come out with a 5-2 win. After wrapping up the season at Howard University on Sunday, the team will play in the A-10 Championship April 25-29. Men’s volleyball had another historic season, hosting the EIVA Tournament for the first time since 2000, when the regular season champion began hosting the tournament.